For the Samajwadi Party – whether it splits or not after Monday’s developments – the one and only agenda is to remain in power by any name post-2017 election. 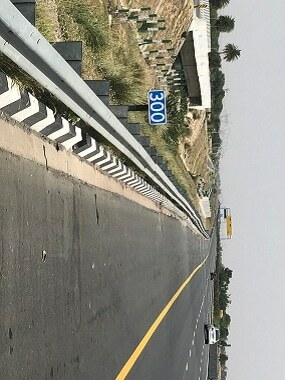 The objective of the entire exercise on Sunday (23 October) and Monday is to assert that Chief Minister Akhilesh Yadav still remains the best face for an election win. Shortly afterwards, Akhilesh held his meeting at which Shivpal supporters were not welcome. He levelled serious charges against Amar Singh, and asserted that no one close to Amar Singh will be retained in the ministry. Significantly, he said that he would start his Rath Yatra on 3 November and would also attend the Samajwadi Party silver jubilee celebration scheduled on 5 November. Then he sacked Shivpal Yadav and three other ministers close to him namely Om Prakash Singh, Narad Rai and Shadab Fatima from his ministry. In reaction, Shivpal in his capacity as state party president expelled Ram Gopal Yadav from the party for six years. In his contribution to the washing-dirty-linen-in-public saga, Shivpal alleged that he (Ram Gopal) was trying to shield himself, his son Akshay and his daughter-in-law from the CBI for which he had thrice met leaders of the Bharatiya Janata Party (BJP). And at the end of the day, Ram Gopal Yadav wrote another letter, saying he was pained not at being expelled from the party but at the charges levelled against him. He hoped that Mulayam would realise his mistake when he came out from the spell of “demonic forces” that had surrounded him. The interesting yet disturbing questions that emerged from the developments are: Whether in all these years of SP rule in the state, people close to both Shivpal and Ram Gopal have been minting money, indulging in “immoral” acts and hobnobbing with the BJP? And these allegations have not come from any opposition party but from close, senior family members hitherto considered inseparable parts of the family-party. 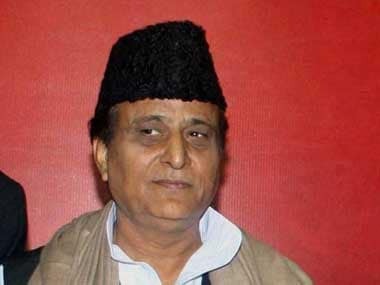 And if allegations of non-family party members who are loyalists of one or the other faction are to be believed, then Mulayam’s second wife has been playing a game of intrigue and black magic to influence Mulayam, as a result of which he has been acting in detriment to his Chief Minister son Akhilesh. These are points that not only remain in collective public memory but also become part of group discussions or community meetings. Needless to say these will be raked up in the coming election campaign as well. But the most significant point that must not be missed is that neither Mulayam nor Akhilesh have said a word against each other. The purpose of Akhilesh’s meeting with his loyalists was to ascertain the numbers with him in case of a showdown within the party. Akhilesh’s angst, as he asserted in this meeting, lies in the presence of Amar Singh in the party. Other than this, he does not seem to have any problem with anything that goes in the party or the government – and that includes allegation of corruption, immorality or black magic. For Mulayam, the next level of action is to ensure that the Samajwadi Party — in whichever form — retains power in the state. Amidst the Sunday evening drama, he found time to have a telephonic conversation with the Rashtriya Lok Dal president Ajit Singh. 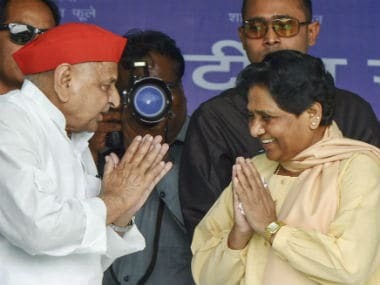 There were ample indications that Mulayam may pave the way for an alliance with not only the RLD but some other parties also — the Qaumi Ekta Dal is already merged with the SP. The bigger challenge for Mulayam, however, is his continuing fondness for Amar Singh whom he re-inducted into the party despite opposition from Akhilesh, Ram Gopal, Azam Khan and many others. Mulayam did play the role of an in-house opposition for his son’s government in the past four years, and also kept settling caste, community and regional equations through Shivpal. The arrangement was working fine with Mulayam influencing several decisions of the Akhilesh government despite the latter’s reluctance. But Shivpal’s style and Amar Singh’s influence was abhorrent for Akhilesh and the problem started. 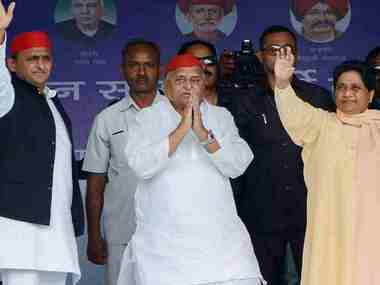 Now that the state assembly elections are but a few months away, Mulayam faces the crucial decision as to whether he sides with his chief minister son who has the party’s youth brigade and a comparatively clean image with him, or stick to Amar Singh. Alternatively, there is brother Shivpal who has sided with Mulayam through thick and thin, always preferring to play the strong second man, having played a major role in nurturing and strengthening the party. Sources close to party leaders say that despite Akhilesh Yadav taking a clear and assertive stand on several issues, he would always acquiesce with Mulayam’s decisions regarding party matters. Whatever Akhilesh did as chief minister, such as appointing or dismissing ministers or changing their departments, transferring officials etc, was his prerogative, but he has refrained from doing anything that involves party matters. On his part, Mulayam, too, will prefer having Akhilesh as the chief minister since he could always play a guiding role for him as father. 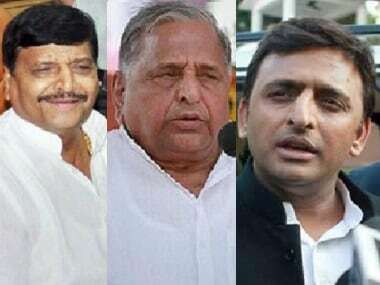 The truth is Akhilesh Yadav and his father Mulayam Singh Yadav are now placed face to face after both sides removed other players from the power game being enacted in the party, family and the government. If an alternate niche for Amar Singh can be found or created, then there would be no problem.